and the Japanese maple leaves cling to their moorings. The front jacket shows the French icon of the demi-monde as a young woman. On the back she appears in her later years, by which time she had become a celebrity recognised by the literary establishment. 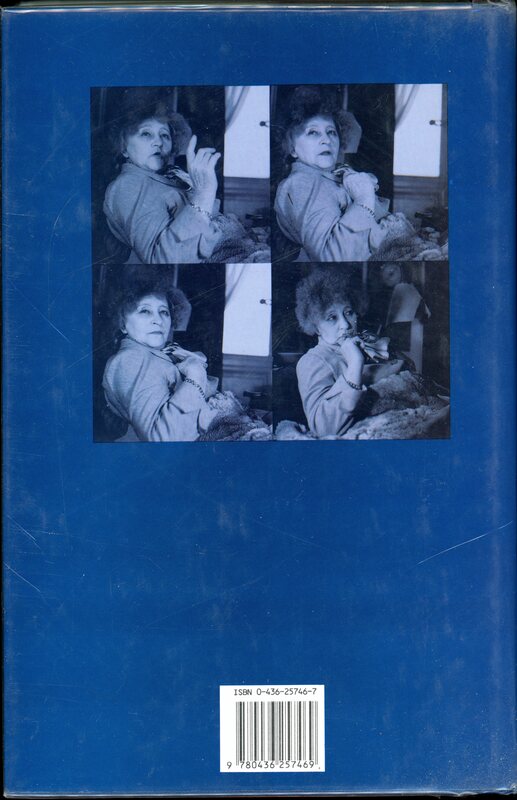 The ISBN number of this 1991 publication can be seen beneath the photographs. Herbert Lottman has written an engaging account. Unlike John Carey whose review was published in The Times Books of 17th March, 1991, I will not précis the life in case my readers will wish to read it for themselves. All I will mention is that Colette’s painful last years is one more reminder of how fortunate I am to live in an era where hip and knee replacements under anaesthetic are commonplace, at least in my culture. Richard Willson’s excellent newspaper illustration probably reveals enough. One of my methods of selecting books to read is the review. This one I had slipped inside the book where I will leave it as a marker. My mother’s frailty has steadily worsened since she was discharged from hospital a fortnight ago. It is clear that she needs 24 hour care, either at home or in a residential establishment. This afternoon we are travelling to her home in the village of West End where we will join in Elizabeth’s discussions on the options with Mum. A Waking Carer will be on hand when we take my sister out for a meal. I doubt whether I will have time to follow this up until tomorrow. This entry was posted in Uncategorized and tagged Colette, Herbert Lottman, Japanese maple, John Carey, pink rose, Richard Willson by derrickjknight. Bookmark the permalink. Hope it goes ok. We have a couple of elderly ladies in the village who are at home with 24 hour care. It seems to be working out ok for them. 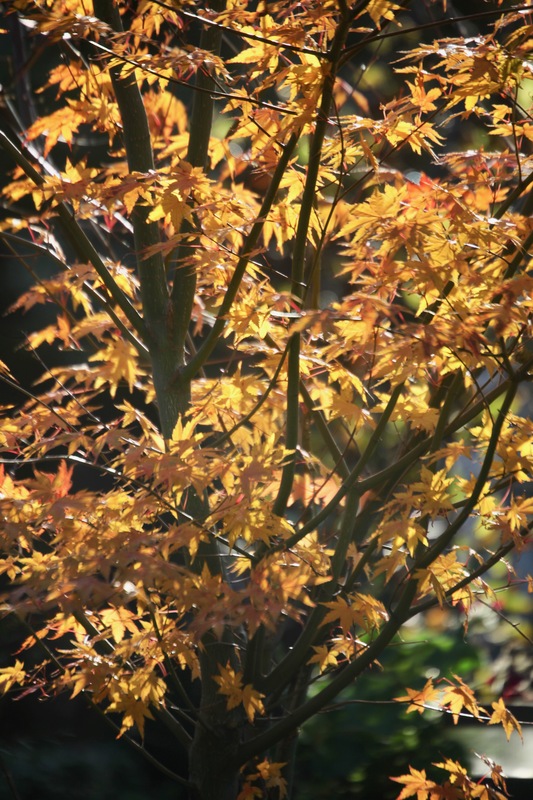 I love the photo of the Japanese maple. I’m sorry to hear about your Mum, Derrick. I’ll keep her in my prayers. I hope all goes well in providing care for your mother. Wow the rose is still hanging in there! I hope all works out well for Mum Derrick! She has such a great support system and wonderful son! Best to your mother and to the rest of the family. As I know from experience, it is not easy to help care for a frail parent. Good wishes to your mum. 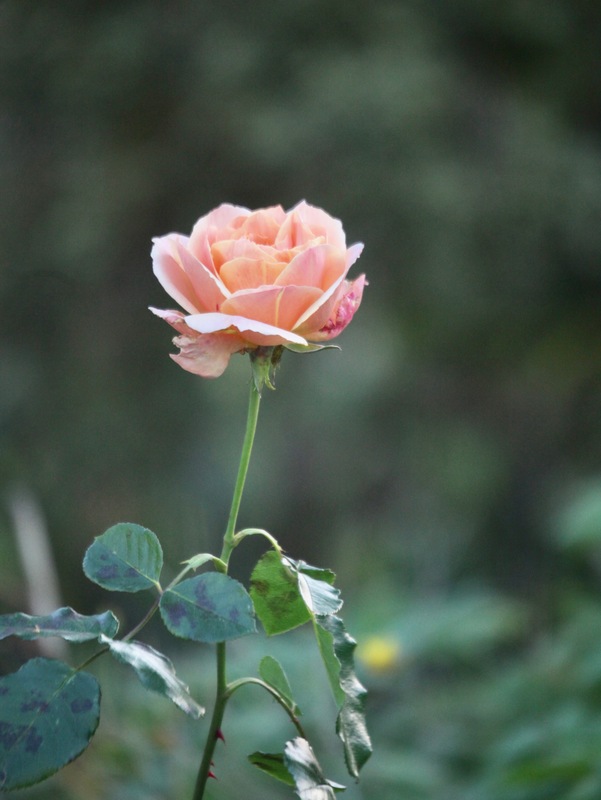 Love the photo of the single rose Derrick. Understood, Derrick. I’ve been through this twice, and your priorities must come first. All my best to you and your whole family. My father looked after Mum until he died and then she went into a nursing hospital which was excellent. They used to wheel her from ward to ward so she could compete in all the separate Scrabble competitions. And she conducted a weekly Bible study group. It was Govt run place in Ballarat. The good ones are great, the bad ones terrible. So sorry to hear about your mother’s failing health. Sending hugs to all of you. Best luck with the care arrangements Derrick. Difficult times. I’m sad your mom couldn’t stay independent longer. Best hopes and prayers as you make decisions–she is blessed to have so many who love her so well. I hope that rose brightened your day, Derrick. Sorry to hear about your mother. It is a worry when our parents need care. I hope you find the right mix of care. It’s hard to make those decisions. Best of luck, Derrick. You and yours are in my thoughts. The lone standing rose and the backlighted maple leaves are fraught with the thought of the looming winter. Those are great references that remind me begin reading again. I believe the Empress of the Senses would love that erect flower. I’m so sorry to hear about your Mum. I will continue to pray for her and for all of you who love her and are caring for her. When you see her next, give her a gentle (HUG) for me. Your photo of the rose and the leaves are so beautiful and bring warmth on this cold night. Best wishes for your mother Derrick sir. She should remain steadfast like the storm ridden rose flower. Regards. So sorry to hear about your mom Derrick. May she get well soon! I hope your Mum does well with extra care. Thinking of you and your Mum. Those decisions can be difficult for a family, as so many of us know from personal experience. Best wishes, Derrick. OH dear Derrick, you have my thoughts, I have been there! I hope all goes well with your mum, Derrick. I’m glad to see the lovely rose is standing strong. As always loved the beautiful photos, especially the caricature illustration. I’m sorry to hear your mother’s frailty. I hope everything goes well. Hope all works out with your mum. Getting appropriate care for the elderly is difficult, even when you have a good health care system. I nearly choked on my tea when I saw your header photo 😀 … you have hidden depths, Mr Knight! 😀 … sorry to hear about your mum. I will light a candle on the altar for her, and all who love her. My thoughts are with you in this difficult time and I do so hope you will be able to find the best care for your mum. Chris and I recently saw the movie “Colette” with Kiera Knightly. A so, so film, but I’d never heard of the writer/performer before and now I’ve learned even more from your post. Such difficult times for your mum and your family. Hoping you find the right balance of care in the right environment. Sorry to hear your mum has become more frail. I’m catching up with my reading and hope to find out she’s managing a little better by now with help from her carer. 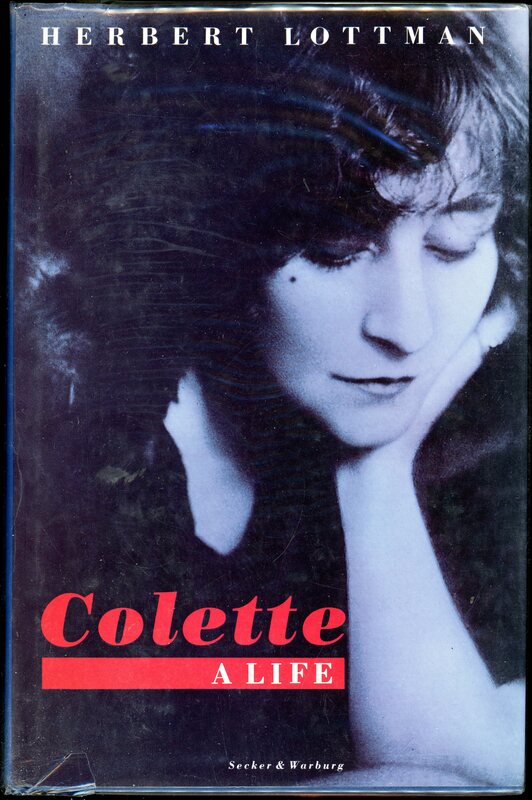 I’ve enjoyed reading some of Colette’s books and stories and about her eventful life. She was very in touch with all aspects of nature, humans included. I’ll be interested to see what Kiera Knightly makes of her. I would not have connected the two, but I suppose that’s why we call it acting!